Journey into Mystery! Join up with Doctor Strange and The Defenders as you fight villains like the evil Baron Mordo and the Dread Dormammu. 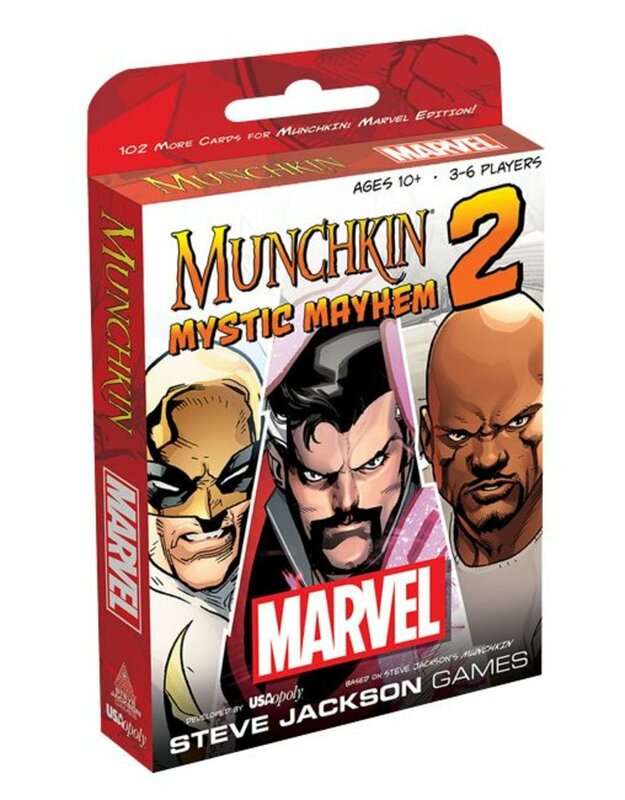 All new Doors and Treasures, as well as 12 oversized Dungeon cards, introduce powerful new threats and Allies and add a new level of mayhem and madness to Munchkin®: Marvel Edition.